Another day, another MDC protest. More noise, more bombastic claims, more unfounded accusations. At this stage, just par for the course. But when we delve deeper, we realise that this isn't just business as usual in the MDC Alliance. There is something bigger going on. As the realisation that they probably won't win is sinking in, the party – and in particular its leadership – are beginning to crack up. They are slowly losing the plot. Let's begin with Nelson Chamisa's bizarre claim that he will be announcing the election result. You heard read it right – the leader of a political party will be announcing the results of the election. Chamisa's response to his belief that the ZEC Chair is biased, is to appoint himself to the position as an impartial arbitrator! Where he will get this information from is anyone's guess, but one suspects that its veracity will be questionable. After all, this is a man who has claimed that "If we don't get 70% of the vote, then they would have rigged the election" and "If Mnangagwa wins 5% in a free election, I will give him my sister." He is also backed up by Tendai Biti, who argues (without any evidence) that Morgan Tsvangirai won 74% of the vote in 2013, 72% in 2008 and a whopping 84% in 2002. Forgive me for not only doubting their impartiality, but also their arithmetic. And of course, the reality is very different. The highly respected international polling body Afrobarometer, in a poll of 2400 Zimbabweans (margin of error 2%), showed that ED currently leads Chamisa by 42% to 30%, with 26% still up for grabs. This does not mean victory for ED is certain, but it does show that Chamisa and Biti's claims about winning by a landslide are nonsense, pure and simple. But worse than this is Chamisa and Biti's worrying and bizarre obsession with death. Last week, at a media briefing, Chamisa said that, "We are not going to repeat the mistake of 2013; we would rather be in the grave or in prison. I am a young man and have youth on my side, I am prepared to go all the way." 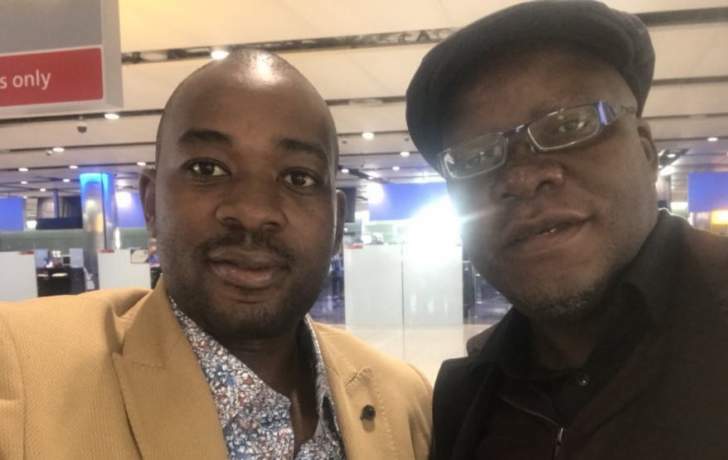 Not to be outdone, Biti on Wednesday exclaimed that "We are prepared to die for this cause, we are prepared to be imprisoned for this cause, we are prepared to die ten times!" When one leader makes such a bizarre claim, it can be put down to the spur of the moment or bravado (although most normal people I know don't talk about death quite so flippantly). But when the two leaders of the party do so in such close succession - with no hint of violence towards them evident in the campaign to justify these absurd fantasies – then it is either a sign of them cracking under the pressure, or part of a strategy. The former is bad and a clear sign that they aren't cut out for the pressures of running a country. The latter is worse, and I shudder to think what their strategy might be. I pray that it doesn't involve sacrificing the lives of innocent civilians to make their point. I pray that these two men, under pressure and desperate for power, don't do anything to disturb the peace we are enjoying.